is elongated, giving this species its name. Older aquatic larva, Siskiyou County. A larval Southern Long-toed salamander swims around in an aquarium, using its legs, body and tail to propel itself. Larval Southern Long-toed salamanders swim around in a pond in a forest clearing on a sunny September day in Siskiyou County. A larval long-toed salamander in a pond in Siskiyou County. Adults are 1 3/5 to 3 1/2 inches long (4.1 - 8.9 cm) from snout to vent, 4 to 6 2/3 inches (10 - 17 cm) in total length. The body is stout with 12 - 13 costal grooves and a broad rounded head, a blunt snout, small protuberant eyes, and no nasolabial grooves. Large untransformed aquatic adults have gills on either side of the head. Dusky or black above with a yellow dorsal stripe, usually interrupted by dark blotches. The sides are sprinkled with whitish specks. The venter is grey or black. Larvae have broad heads, three pairs of bushy gills and broad caudal fins that extend well onto the back. Transformed adults are terrestrial and breathe with lungs but some gilled adults remain in the water and grow to a large size before transforming. However, neotenic adults have not been reported. Transformed adults are rarely found outside of the breeding season. 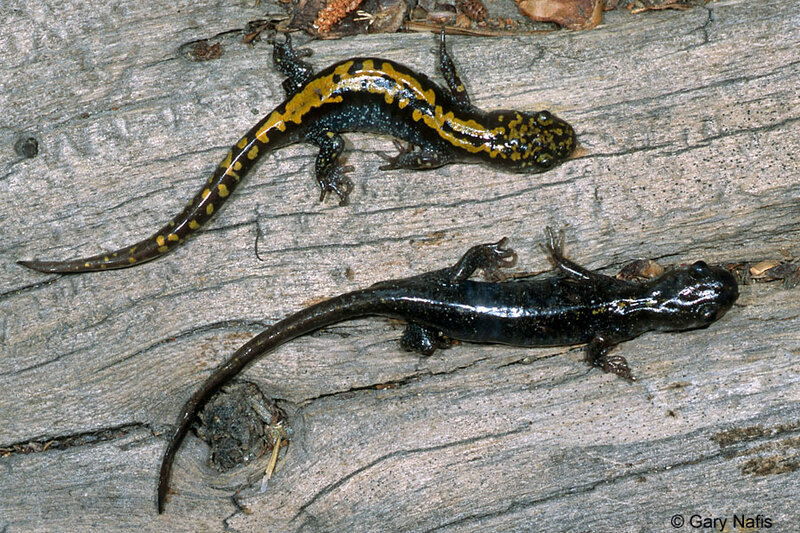 They are mostly found under wood, logs, rocks, bark and other objects near breeding sites which can include ponds, lakes, and streams, or when they are breeding in the water. At other times of the year they stay in rotten logs or moist places underground such as animal burrows. Adults and juveniles migrate to breeding sites in Winter and Spring, and again to wintering locations in the fall. Larvae slow down their activity and winter under the ice resting under debris on the bottom of the water. At some low-elevation locations (typically not in California) they may remain active all year. Adults live to about 10 years of age. Adults produce sticky skin secretions to deter predators. Transformed adults eat small invertebrates, including worms, mollusks, insects, and spiders. Larvae start by eating small crustaceans. As they increase in size, they gradually consume larger prey items, including crustaceans, worms, mollusks, and frog tadoles. Larger larvae may cannibalize smaller larvae. Young larvae feed by sitting and waiting for prey, while larger larvae also stalk and pursue prey. Breeding occurs in permanent or temporary ponds, lakes and flooded meadows. Adults become sexually mature at 1 - 3 years, and migrate overland from wintering sites to the breeding site in spring and early summer or later in years with a heavy snowpack. Adults sometimes enter ponds not yet free of ice. 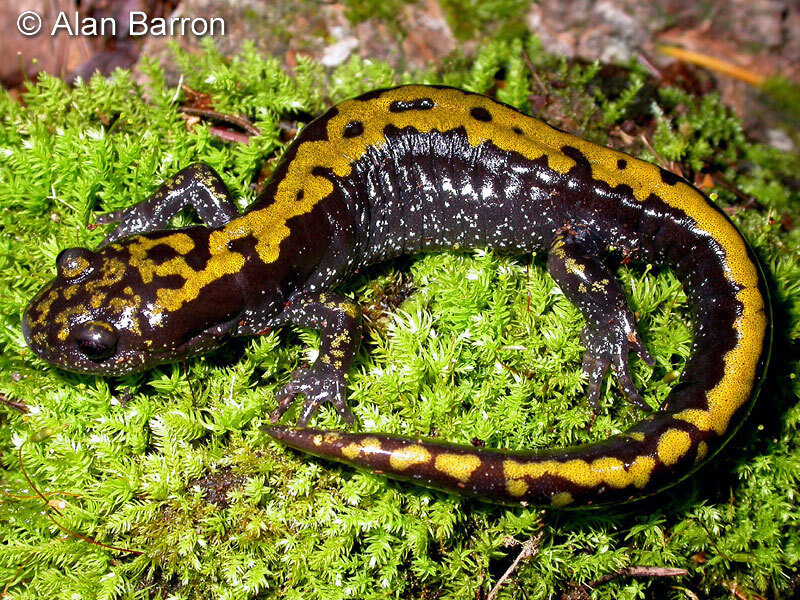 (In Oregon, Long-toed Salamanders may migrate to ponds in October and November. Males enter the ponds before females. Females spend approximately 3 weeks at a breeding site, but individual females only stay at the site for 1 - 2 days, and do not feed there. Males feed at breeding sites, so they can stay at the site for the entire breeding season, which may last 2 months or more. Females lay from 90 - 400 eggs in clusters containing from 1 - 81 eggs in shallow water, attaching them singly or in loose clusters to the undersides of logs and branches, or leaving them unattached on the bottom. Eggs hatch in 2 - 5 weeks. Larvae transform at different rates depending on temperature and the permanence of the pool. 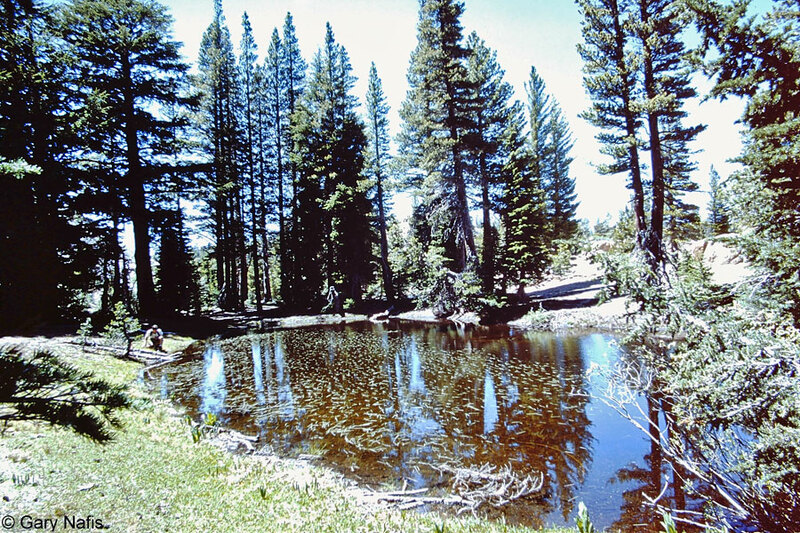 Transformation may take 4 - 5 months in temporary ponds, but they may not transform until their second or third season at high elevations. After transformation they disperse away from the breeding site. 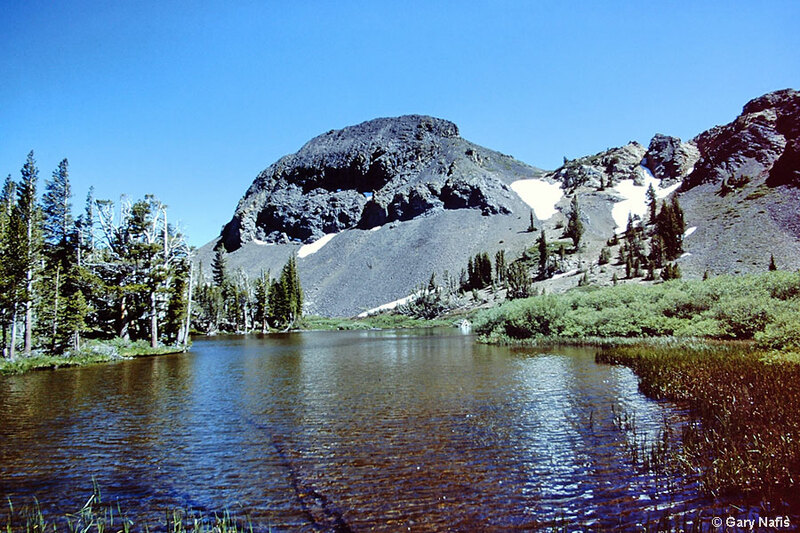 Inhabits alpine meadows, high mountain ponds and lakes. 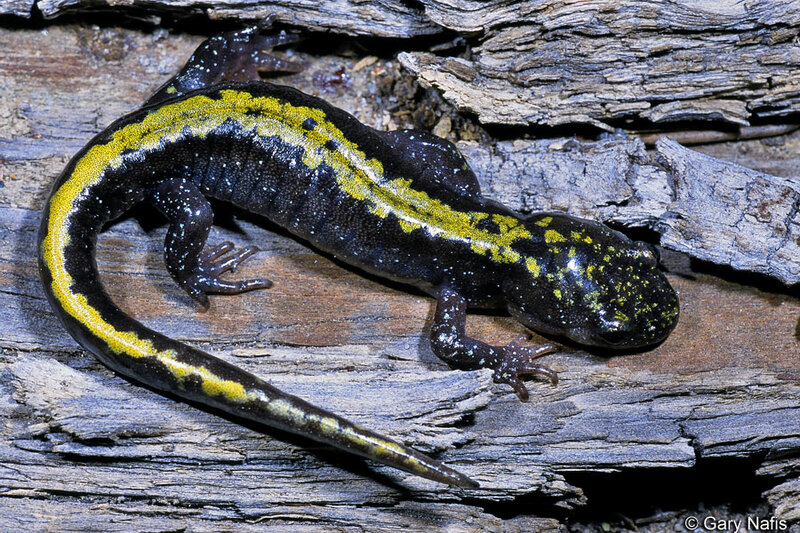 In California, this subspecies, Ambystoma macrodactylum sigillatum - Southern Long-toed Salamander, occurs in the Northeast and along the northern Sierra Nevada south to Garner Meadows and Spicer Reservoir, and in Trinity and Siskiyou Counties near the Trinity Alps. It also occurs in southwestern Oregon. 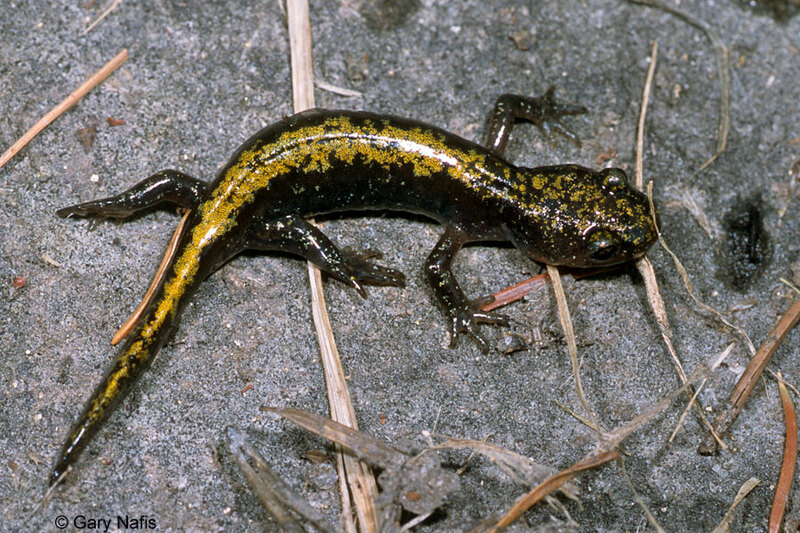 The species Ambystoma macrodactylum - Long-toed Salamander, is widespread in the west, occurring in California, Oregon, Idaho, and Montana, western Canada, and Southeast Alaska. Found at elevations up to about 10,000 ft. 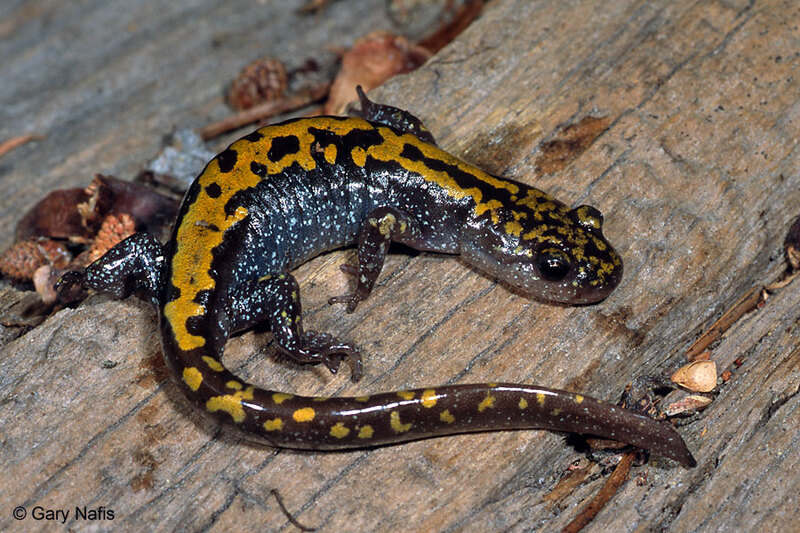 This salamander does not appear to be in decline, however some populations might be at risk due to introduced fish and deforestation. UV-B radiation is another possible threat to high-altitude populations. sigillatum: Latin - adorned with images or figures, referring to the color pattern.